We are proud to announce that the most ancient and respected Italian extreme Metal legend will tear to pieces the OEF stage.. kneel down to the mighty BULLDOZER!! Dark, demonical Thrash/Speed Metal from the most savage guts of Italy’s early 80s Metal inferno, a band that rooted its sound in the early releases from VENOM, BATHORY and POSSESSED adding that MOTÖRHEAD touch that reaches the perfect dose of rawness and sheer power. Later evolved into a fast Thrash band with a style exploding through plenty of sharp riffs, fantastic lead-guitar work, bulldozing heavy drums and vocals that can best be compared to a hoarse and angry Lemmy! Albums like "The Day of Wrath", "IX" and "Neurodeliri" are absolute Thrash commandments!! Their show will include a massive selection of their 80s anthems and some from their latest slasher "Unexpected fate"!!! Bulldozer is an extreme metal band from Milan, Italy, that was active from 1980 until 1990. They reunited in 2008 and are still active today. Bulldozer formed in 1980 by bassist Dario Carria and guitarist Andy Panigada. They were joined by Erminio Galli on drums. They were forced to split up in 1981 due to national service commitments, but reformed in 1983 with Alberto Contini (AC Wild) taking over bass and vocal duties and Don Andras playing drums. This line-up recorded the Fallen Angel demo (later to be re-issued as a 7"), their debut, The Day of Wrath, and their follow-up, The Final Separation. The Day of Wrath was produced by Algy Ward of Tank-fame (yet another bass-driven thunderous power trio band) and the influence can clearly be heard. The Final Separation signaled the abrupt interruption of the deal with Roadrunner Records, which failed to promote the album effectively and moreover selected a different image from the one suggested by the band as its cover art. The photo was deemed cartoonish and ineffective by the band and the whole affair brought to the signing of a new contract with Italian label Metalmagic, a sub-division of Discomagic. Rob Cabrini was brought in on drums for IX: Circle of Hell (1987). This line-up recorded Neurodeliri (1988) and was captured live in Poland in 1990 for Alive...in Poland. Their final release was the posthumous Dance Got Sick! EP, which, although mainly put together by Contini as a "joke", enjoyed a huge success in Japan, prompting him to move to that country to work in music production. In 2004, Bulldozer's song "Whiskey Time" was included in the Peaceville Records compilation Fenriz Presents... The Best of Old-School Black Metal, assembled by Darkthrone's drummer Fenriz. 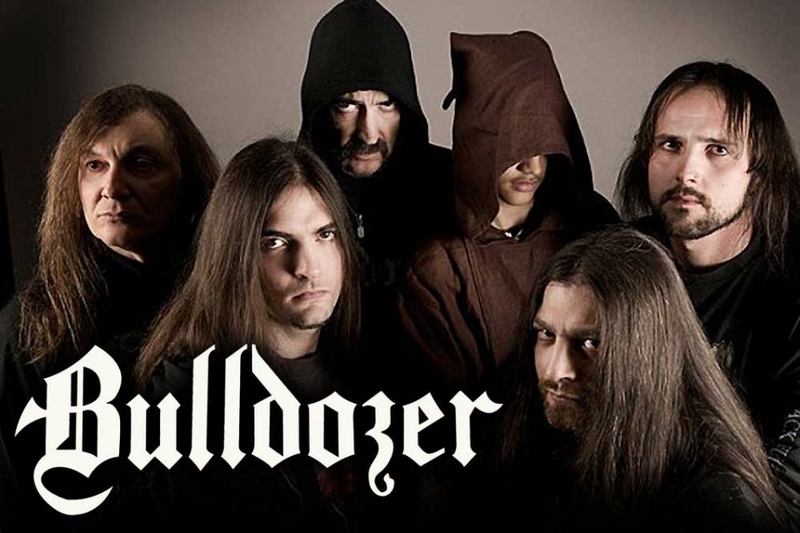 In November 2006, Bulldozer's five albums were collected together by Polish label Metal Mind Productions on the box set Regenerated in the Grave; the box set, hosting bonus tracks and a 32-page booklet, was limited to 2000 copies. In 2007, Italian power metallers Labyrinth, while touring Japan, hosted Contini onstage for a rendition of Bulldozer's classics. The crowd's ecstatic appreciation of the songs sparked the first thoughts of reunion. As of 2008, according to statements from both Alberto Contini and Andy Panigada, Bulldozer had reunited. Contini announced that they would start to work on a new album in August 2008. The album, titled Unexpected Fate, was released on 11 June 2009 and features Death Mechanism drummer Manu as Bulldozer's third member.